Advocacy Update: Combating Suicide, Defend the GI Bill, & More! Congress returned from a week-long recess and the IAVA team celebrated legislative victories past and present. We attended a reception honoring the work of IAVA Founder Paul Rieckhoff, spoke at a panel to discuss military transition and mental health, and added an additional 10 cosponsors on IAVA-backed legislation. First up this week, House Speaker Nancy Pelosi (D-CA) hosted a Capitol reception to honor Paul’s work over the years on behalf of veterans. As many of you know, earlier this year Paul stepped down as CEO after fourteen years at the helm of IAVA. 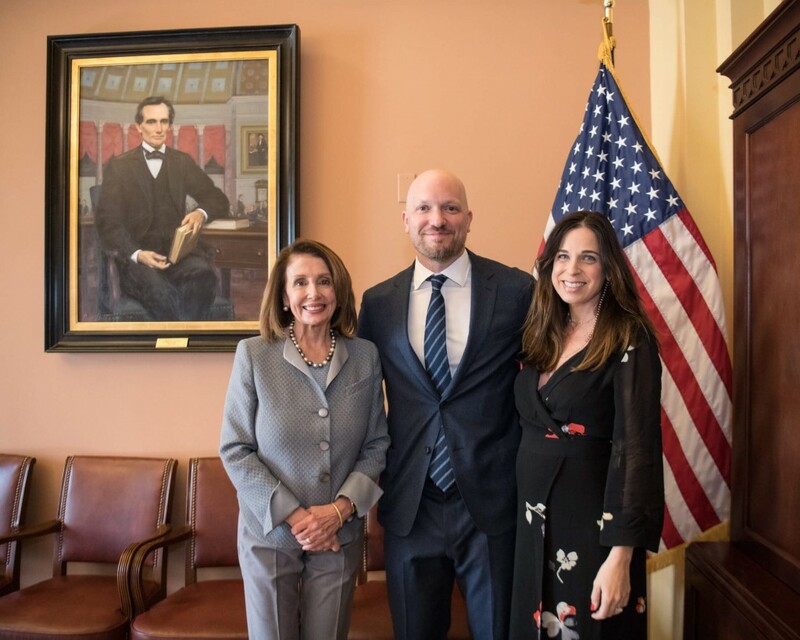 Thank you to Speaker Pelosi for hosting the IAVA family. Be sure to read IAVA’s full statement here. 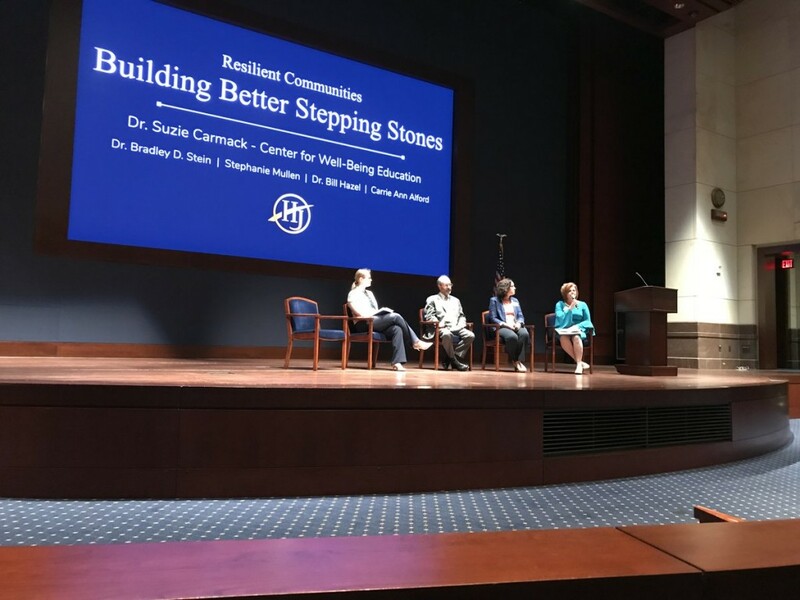 Also Tuesday, Research Director Steph Mullen spoke on a panel at the 2019 Hero’s Journey Symposium. The panel discussed how multiple stakeholders can come together to better treat mental health injuries and work to prevent suicide among troops and veterans. This remains IAVA’s #1 Big 6 issue. Stay tuned to IAVA for updates as we continue our work on this critical issue. 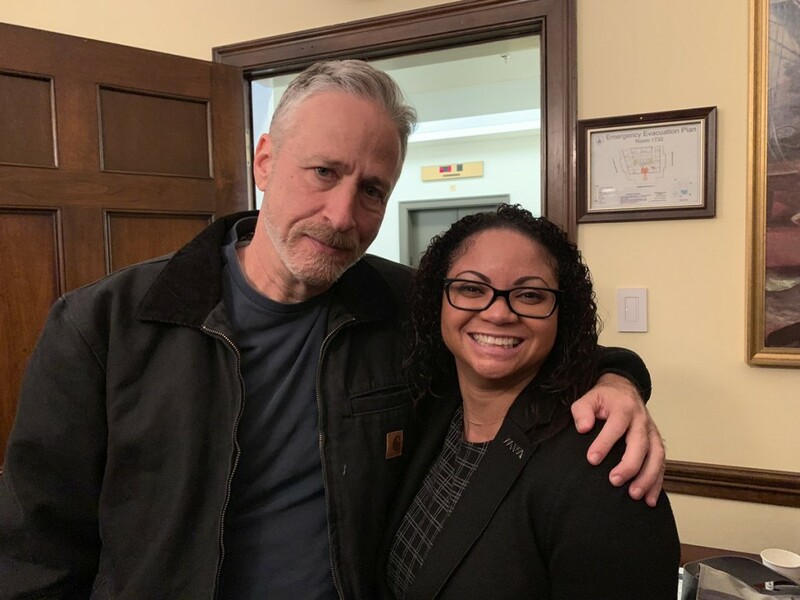 Chief Policy Officer Melissa Bryant, was on the Hill on Tuesday, and spoke with a bipartisan group of Members of Congress as well as long-standing IAVA partners, including Jon Stewart, about #BurnPits and Toxic Exposures. Jon has been a crucial IAVA ally through the years in the fight for the Zadroga Act / 9/11 Compensation Fund, and we look forward to continuing our work with him in the future. On Thursday, the House passed a resolution to express opposition to the military ban on transgender troops. The non-binding resolution passed 238-185, nearly along party lines, and represents another step forward in public opinion toward ensuring equality among troops and veterans. Stay tuned as IAVA remains committed to this fight. On Friday, Legislative Director Tom Porter attended a lunch hosted by our partners at Veterans Education Success (VES) and discussed the harm poor-performing schools do to military-connected students with a former for-profit college executive. 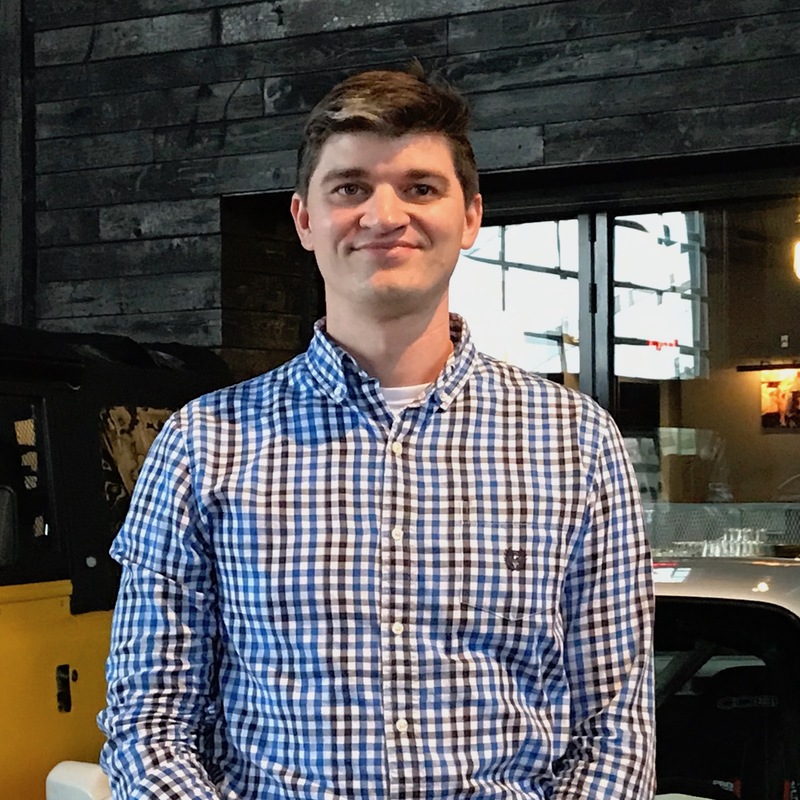 IAVA remains committed to Defending the GI Bill and military-connected education benefits and will continue working with our partner VSOs and Congress to ensure military and student veterans are protected from predatory schools. Tom also attended a number of meetings on Capitol Hill this week to talk about additional legislative protections for student veterans like the removal of the 90/10 loophole, economic opportunities, and burn pits. The Burn Pits Accountability Act (S. 191/H.R. 663) added an additional 7 cosponsors across the House and the Senate this week. Thank you to Sen. Roger Wicker (R-MS) and Reps. Joe Courtney (D-CT), Kathy Castor (D-FL), Bill Keating (D-MA), Conor Lamb (D-PA), Jesus “Chuy” Garcia (D-IL), and Mike Quigley (D-IL). This bill now has over 175 cosponsors and is primed for a strong 2019! The VA Medicinal Cannabis Research Act (S. 179/H.R. 712) gained another 2 cosponsors this week. Huge thanks to Reps. Sean Patrick Maloney (D-NY) and Debra Haaland (D-NM) and all of our 54 cosponsors! Lastly, the Veterans Mental Health Care Improvement Act (S. 785) is off to a fast start and gained another cosponsor this week. Thank you, Sen. Gary Peters (D-MI) for your commitment to combating suicide among troops and veterans. Ensure your Member of Congress supports IAVA’s Big 6 priorities by going through our Take Action page here!